There’s never been a better time to be involved in app development. The rapid advancement of new technologies for both front and backend creations make it possible to build better applications faster. Today’s environment now requires developers to be well-versed on both client and server-side development. The walls separating developers into different specialties crumble more every day. Relational databases were the answer when it came to storing support data for applications. The past five years have seen an explosion in the use of non-relational databases. They’ve gained popularity due to the ease in which they can be scaled to meet the growing needs of individual developers or companies looking to expand their current capabilities. MongoDB and Redis are two of the most popular non-relational databases on the market. 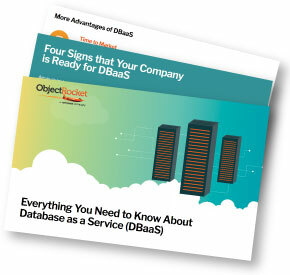 They’ve grown along with the need for databases suited to supporting cloud based applications. Each one has its strengths and weaknesses when it comes to web application needs. PostgreSQL, a relational database, also continues to grow in usage due to its support for many NoSQL features. This article examines the pros and cons of each database in hopes of providing clarity to users unsure which product will work best for them. All databases covered in this article support cloud based app(s). They also work for developers who decide to create a mobile app or any other type of web-based software. It may help to think of documents as a form of a record used in RDBMS databases. Data gets stored in collections standing in for tables. MongoDB also has its own consistent and expressive query language. It’s adaptable to Solaris, Linux, Windows, and Mac OS X. Designed to be used in cloud hosting services like AWS, SoftLayer, RedHat, and Microsoft. PostgreSQL is an open-source database which uses traditional RDBMS structures like tables, triggers, stored procedures, and views. That makes it a good choice for those used to working with those types of databases. PostgreSQL distinguishes itself from other RDBMS systems by supporting both relational and object-oriented functionality. It supports both ANSI SQL and SQL/MED standards and can handle NoSQL features for any applications storing information in key-value based or document formats. Developers can also build expression index based on the result coming from a function or expression versus the value of a column. Redis is an open-source NoSQL in-memory data structure store. It uses key-value pairs for storage instead of documents. It’s flexible enough to be used as a cache or message broker as well. Developers can use data structures like lists, sets, and hashes. Users can extend modules in Redis for other uses like a search engine or JSON store. It provides data replication capabilities and is robust enough to survive failures of any supporting nodes. Since Redis supports transactions, it can execute commands in a queued manner instead of going one at a time. Choose the database that suits the long-term goals of your company. ObjectRocket professionals can help companies select a database for your application development needs.